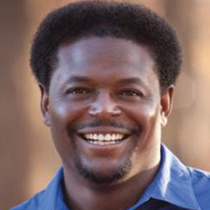 Pastor Derwin Gray takes a looks at what it really means to serve. Our view of what it means to serve someone is broken. "Serving someone" must move beyond simple acts of helping. This understanding of serving is too small. As one of the pastors and leaders of Transformation Church and as a husband and father, I’m called to serve the people in my life. To serve means to see and act on serving people the way Jesus did. Jesus brought the best out in people. Jesus served the Pharisees by running them out of the Temple. They turned Jesus’ Father’s House into a den of thieves. Jesus served the rich young ruler when he challenged him at the core of his being concerning money. To serve someone is to desire to bring the best out of them, which means having difficult conversations. Great leaders inspire and challenge. Great leaders help people become who God has created and called them to be. Great leaders leave people better off than how they found them. Most importantly, a great leader simply allows Jesus, the Great Leader, to serve people through them. And great leaders are humble enough to receive the same leadership they give.